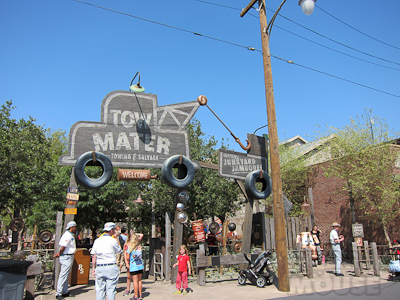 Mater’s Junkyard Jamboree is one of the three new rides at Cars Land, and in my opinion, a hidden gem. It’s one of those rides that actually is a lot funner than it looks. Is funner a word? More fun? Meh, my blog, I’ll use whatever words I want. 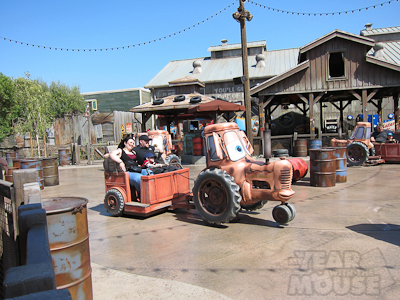 First, let’s be honest: Mater’s looks a bit dull–there’s a little tractor and you’re in a little cart behind the tractor and the tractors all go around in a figure-8 type motion while the seats move. Here’s a picture. What makes it cool is that the little trailer swings way out around each curve with some major g-force action, as it whips you around (but not in a “Ouch! My neck!” kind of way) each curve. The whole setup is very cute. 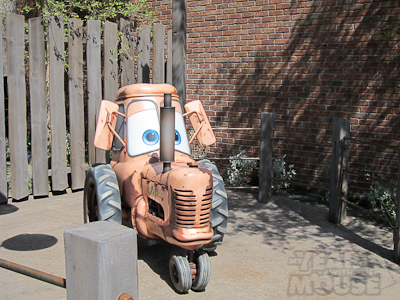 It’s a true testament to Disney imagineering that they make a miniature tractor look both adorable and slightly confused. Totally unrelated, but when did Pabst Blue Ribbon turn into the hipster beer of choice? That stuff tastes like crap! There’s a hidden Mickey in here. Can you see it? 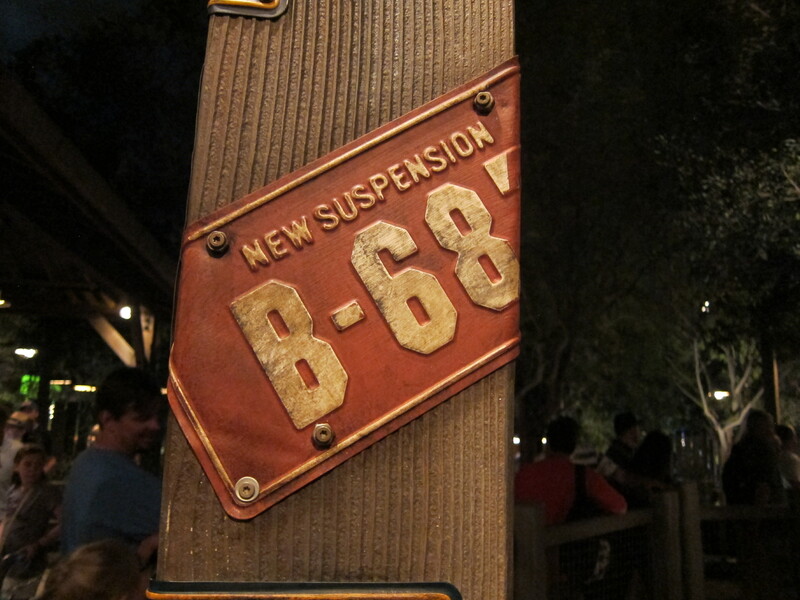 I actually rode this ride on two separate occasions. The above pictures are from June. 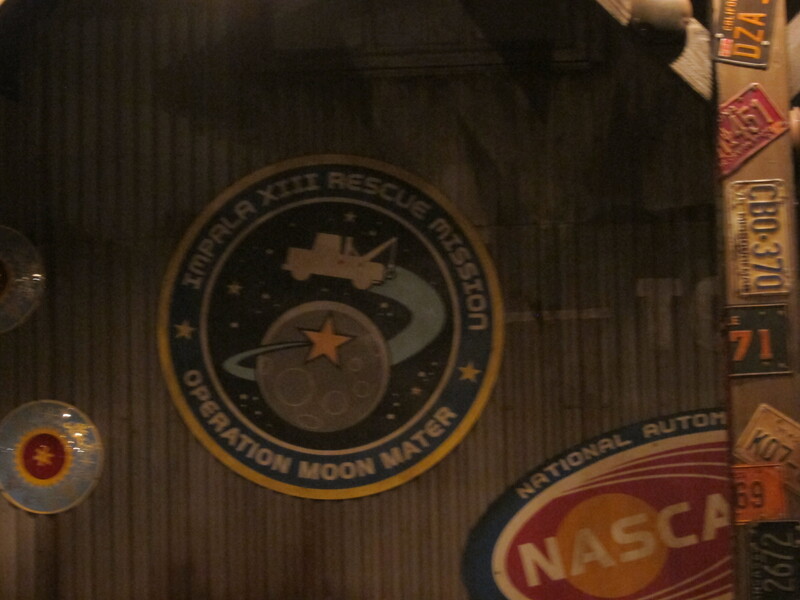 Last week we went on Mater’s with Kevin and Theo and I got a couple more shots. The license plates are a combination of actual state plates and made-up ones. 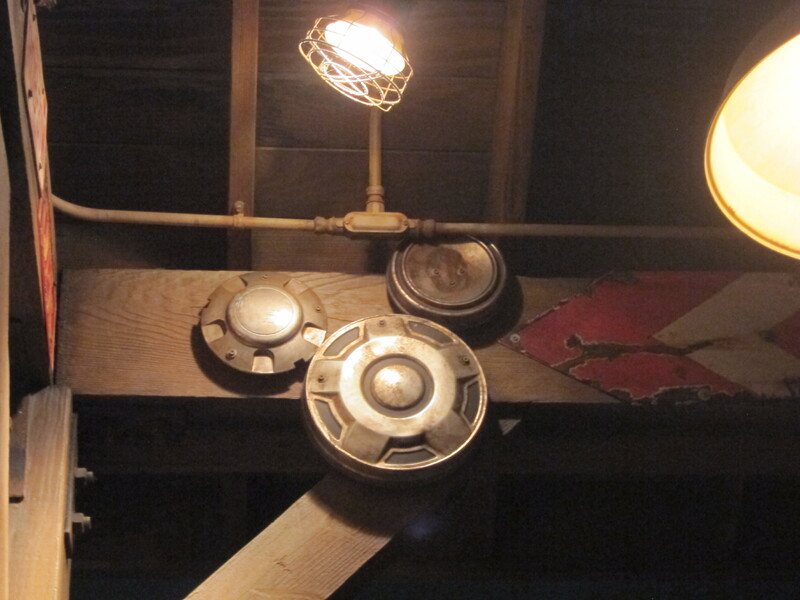 Did you find that hidden Mickey? Here’s a kind of action shot. Because MYWTM just wouldn’t be the same without some questionable photography. Boy, makes you feel like you’re on the ride yourself, huh? 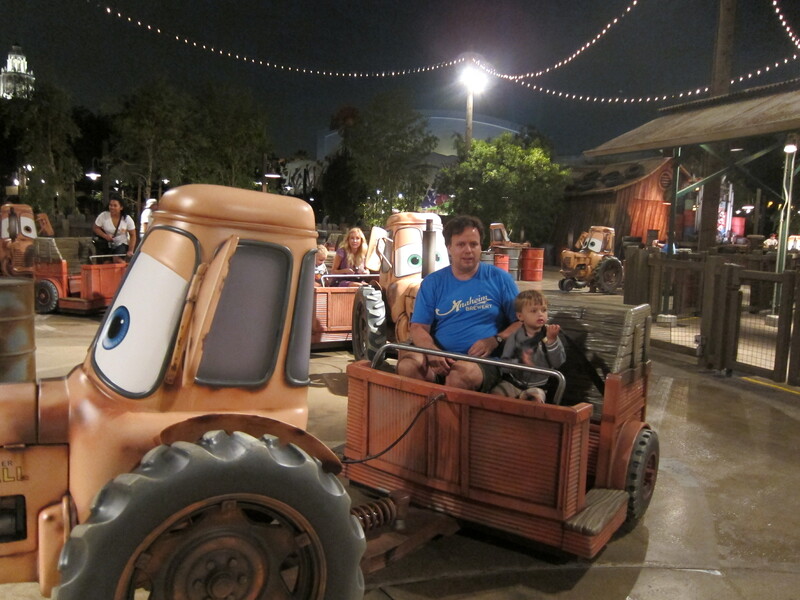 One nice thing about Mater’s is that two normal-sized adults and one small child fit comfortably, unlike Dumbo where I wasn’t sure the three of us were going to be able to exit our shared elephant without a crowbar or emergency personnel. Plenty of room for Mommy! 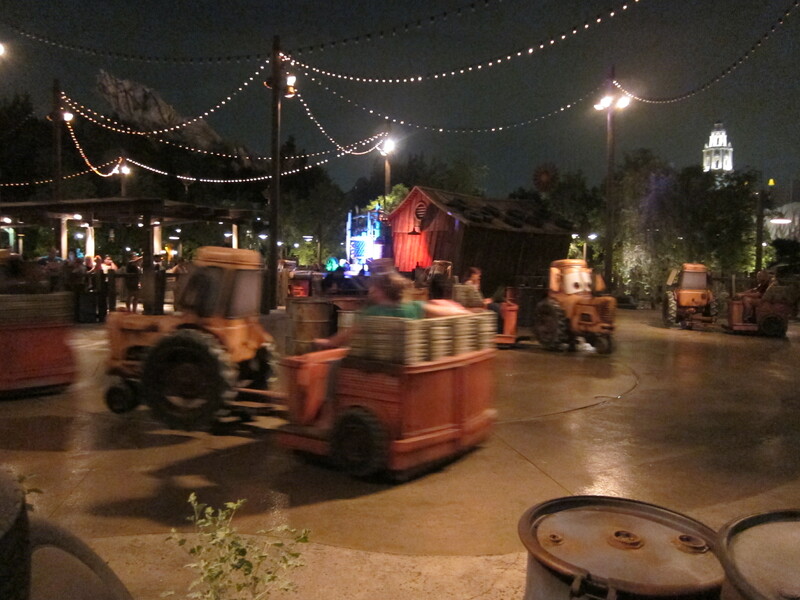 Another great thing about Mater’s is that there are actually two ride areas that run simultaneously. 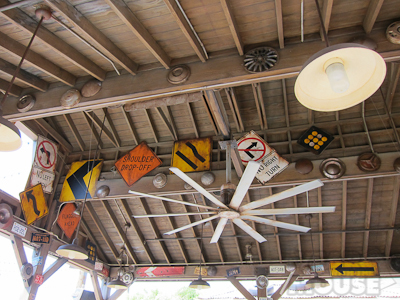 That really bumps up ride capacity, even though it’s not a continuous load ride. We only waited about 15 minutes to get on. And then the music starts and you’re off! Right after we whipped around the first corner, Theo cried out “I LOVE IT!!!! !” Which was very cute. Okay, I realize it looks like he’s being squeezed to death in that picture, but I assure you that the tractors ARE fairly roomy. 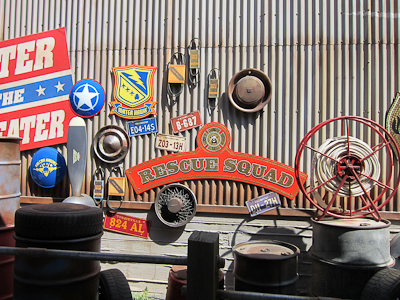 Really, Mater’s Junkyard Jamboree is awesome. Don’t pass it by because it looks boring. It’s really a fantastic ride. 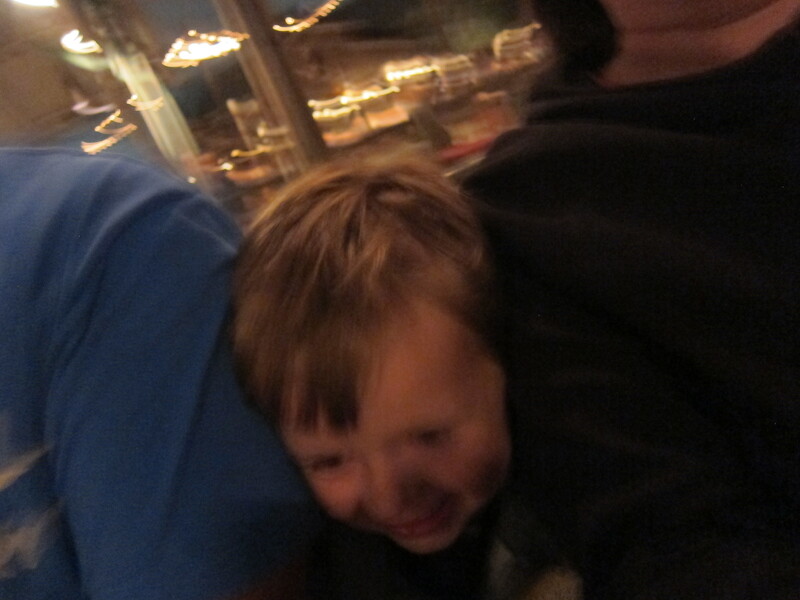 The only bad thing about it was Theo’s unhappiness when we told him he couldn’t ride it again. Because we’re really mean parents. He’s not getting a pony for Christmas either.